The Bank of Guyana on Thursday announced that it has temporarily stopped buying Barbados, and Trinidad and Tobago dollars from cambios as part of efforts to stem increased demand for United States (US) dollars. He said there was evidence shows that persons have been coming from Barbados, and Trinidad and Tobago to buy American dollars, resulting in a decision by the Bank of Guyana to stop buying those countries’ currencies from cambios. “We have temporarily stopped buying Trinidad and Tobago as well as Barbadian currency from cambios. However, individuals can still come to the Central Bank with legitimate transactions for these currencies,” he said. Latest figures show that there were BDS$8 million circulating in Guyana in 2014 to about BDS$13 million currently and from TT$9.1 million in 2014 to TT$38 million at the moment. The economic downturn in Trinidad and Tobago, Barbados and Suriname has led to severe foreign currency shortages in those countries. 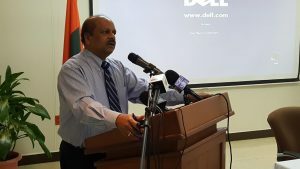 The Central Bank Governor said commercial banks have been warned against processing illegitimate requests for US dollars or Guyana would end being like Trinidad and Tobago that could not pay US$1 million for sugar bought from the Guyana Sugar Corporation and in another case a rice exporter was owed US$700,000. A market analysis shows that there is an immediate demand for US$6 million, moving from a working bank balance minus commitments from US$10.7 million on December 5, 2016 and a surplus of US$8.3 million. After the Kaieteur News report, he said there were several illegitimate requests for foreign exchange, based on records produced by the commercial banks. “We had requested from the commercial banks invoices to substantiate some of these requests. All that you received were some letters requesting a certain amount sent to a commercial bank, or an email or a verbal request. Obviously if there is a legitimate demand you would have an invoice accompanying,” Ganga said. The Bank of Guyana Governor said there are seasonal demands and there was no need for panic because the commercial banks were taking steps to resolve any excess demand. “There is no chronic situation out there. The commercial banks are dealing with this issue as we speak. Some of them have been bringing back some foreign currencies that they had elsewhere to address some of the demand,” he said. Ganga said evidence shows that some of the foreign exchange purchases are speculative, some businesses are repatriating “huge, huge profits” while some of the commercial banks are acceding to requests from foreign exchange account holders. He said one of the recent major foreign exchange purchases was US$25 million by Banks DIH for its buy-back of shares in Banks Barbados. He cautioned against media speculation that could affect an otherwise “healthy and strong” economy compared to any of the Caribbean countries, based on “soundness indicators.” “We do have the wherewithal to ensure our financial system continues to be sound,” he said. The Governor said commercial banks could deny requests for foreign currency, based on anti-money laundering laws and regulations.